Warner Home Video has announced that the first DC Showcase animated short will be The Spectre and it will accompany Justice League: Crisis on Two Earths. The Spectre short -- available on the two-disc and Blu-ray versions -- was written by Steve Niles, and the voice cast includes Gary Cole and Alyssa Milano. Warner also released a new image from Justice League Criris on Two Earths. 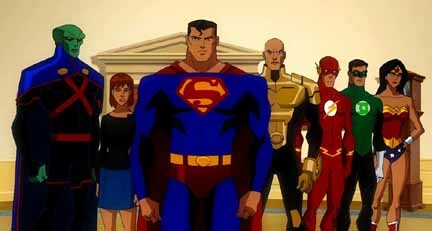 "A 'good' Lex Luthor arrives from an alternate universe to recruit the Justice League to help save his Earth from the Crime Syndicate, a gang of villainous characters with virtually identical super powers to the Justice League. What ensues is the ultimate battle of good versus evil in a war that threatens both planets and, through a diabolical plan launched by Owlman, puts the balance of all existence in peril." 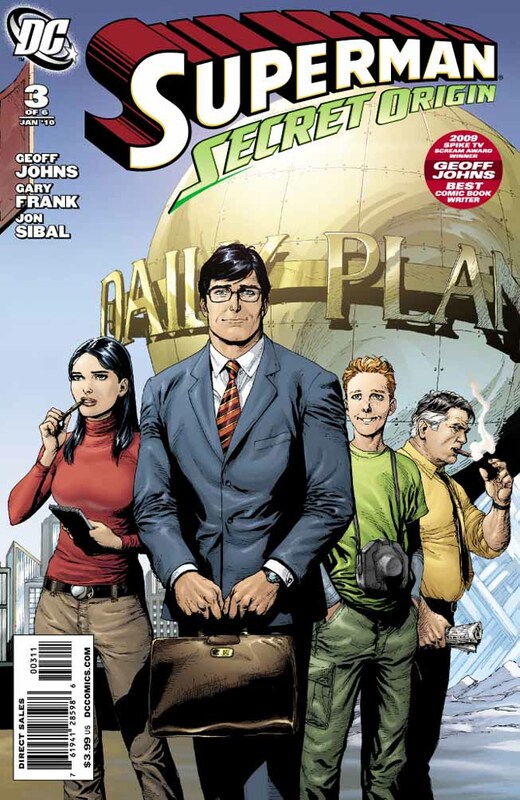 The cast includes Mark Harmon as Superman, James Woods as Owlman, Chris North as Lex Luthor, William Baldwin as Batman, Gina Torres as Superwoman and Bruce Davison as the president. The film was written by Dwayne McDuffie and was directed by Lauren Montgomery and Sam Liu. 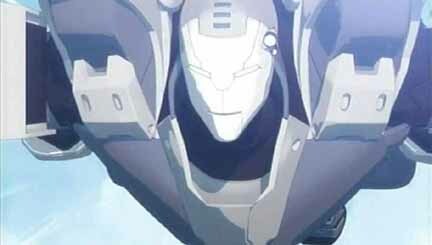 IRON MAN: ARMORED ADVENTURES: "TALES OF SUSPENSE: PART ONE"
Nicktoons will conclude the first season of Iron Man: Armored Adventures on Saturday, Nov. 28 at 9 p.m. with the two-part "Tales of Suspense" episode. The Continuum today presents a gallery of images from the first part of the episode, including the first looks at War Machine and Fin Fang Foom. "Gene Khan wasn't always the Mandarin and leader of the Tong -- his step-father Zhang once held that title. Now Zhang is back for the Makluan Rings, and he'll stop at nothing to get them all. Zhang captures Gene, Tony, and Pepper, and forces the location of the fifth ring from Tony. And while Rhodey struggles to find his friends, Tony and Gene are faced with the fifth guardian... an ancient dragon by the name of Fin Fang Foom. But without Tony's armor and Gene's rings... what can kids do against a dragon?" Click on the thumbnails for larger images and look for more on Iron Man: Armored Adventures soon here in The Continuum. For covers and five- to six-page previews of IDW Publishing titles arriving in stores on Nov. 25, CLICK HERE. For previews of Marvel Comics titles arriving in stores on Nov. 25, CLICK HERE. For previews of Image Comics titles arriving in stores on Nov. 25, CLICK HERE. For previews of Top Cow Productions titles arriving in stores on Nov. 25, CLICK HERE. For previews of BOOM! Studios titles arriving in stores on Nov. 25, CLICK HERE. For previews of Dark Horse titles arriving in stores on Nov. 25, CLICK HERE. For previews of Archie Comics titles arriving in stores on Nov. 25, CLICK HERE. For covers and five- to 12-page previews of Dynamite Entertainment titles arriving in stores on Nov. 25, CLICK HERE. Titles include Galactica: 1980 #3, Project Superpowers: Meet the Bad Guys #4, Buck Rogers #6, The Lone Ranger #19, Queen Sonja #1 and The Boys Volume Five: Herogasm TPB. For covers and four- to five-page previews of DC Comics titles arriving in stores on Nov. 25, CLICK HERE. 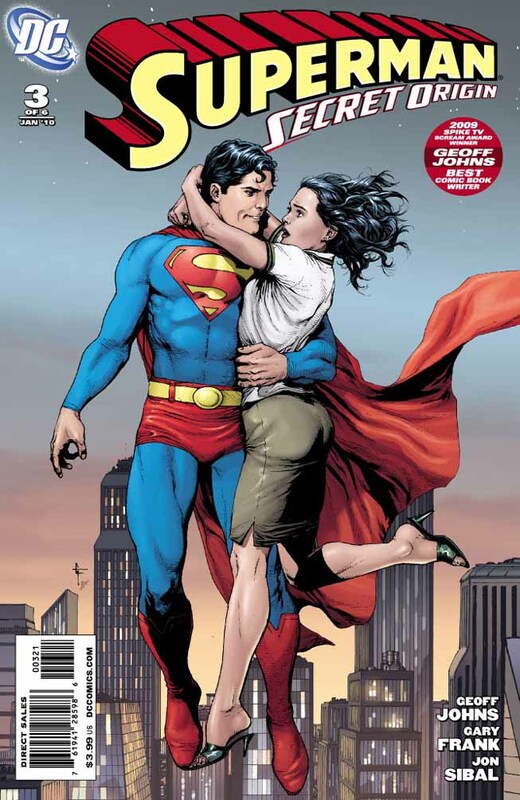 Titles include Superman: Secret Origin #3 and Starcraft #6. For previously posted previews of DC Comics titles arriving in stores on Nov. 25, CLICK HERE. Dabel Brothers and IDW Publishing have announced an agreement to co-publish Patricia Briggs' Mercy Thompson: Moon Called, a four-issue mini-series adaptation of the author's new novel, beginning in February. The novel introduces Mercedes "Mercy" Thompson, a talented Volkswagen mechanic living in Washington State, who also happens to be a "walker," a magical being with the power to shift into a coyote at will. Moon Called tells of Mercy and the rest of the paranormal cast in the novels, among them werewolves, vampires, gremlins, and more. Moon Called is also a direct follow-up to the Mercy Thompson comic book series Homecoming, published by Dabel Brothers. Homecoming, the Mercy Thompson graphic novel that serves as a prequel story to Moon Called, debuted at #1 on The New York Times Bestseller List for Hardcover Graphic Books, and is fourth on Amazon's bestselling graphic novel list for 2009. "Moon Called is chock full of great stuff and perfect for the supernatural fanatic who just can't get enough of their creepy beasties in their reading diet!" said IDW's new senior editor, Bob Schreck. Mercy Thompson: Moon Called is written by Derek Ruiz, with art by Clint Hilinski. The first of the four-issue monthly series will be available in February from IDW, with a collection scheduled for August. "We're thrilled to be working with IDW on this project," Dabel vice president Les Dabel. "Their track record speaks for itself, and we really feel they've been making a lot of smart moves within the industry the last couple years." NBC has released a video interview with Ashley Crow, who plays Sandra on Heroes. Crow talks about Monday's new episode, "Thanksgiving." 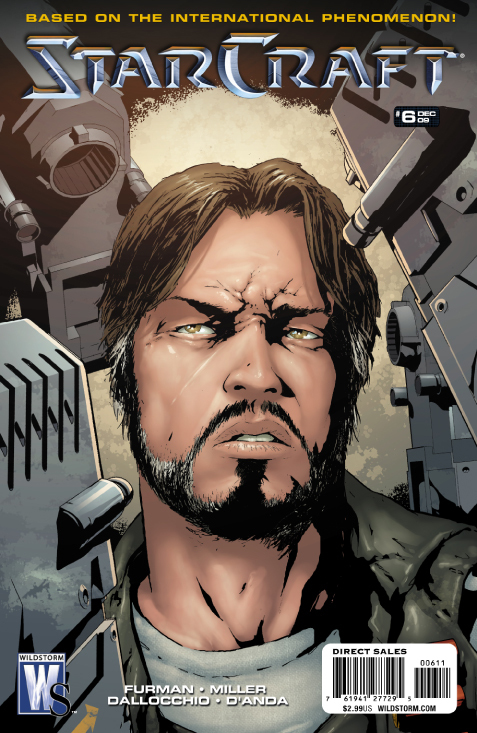 Avatar Press has released its solicitations for February. 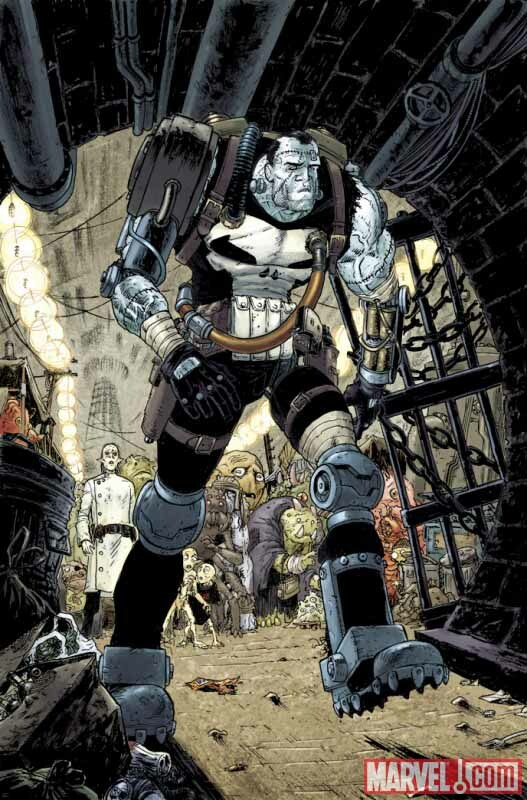 * Marvel Comics has announced a second printing of Punisher #11. The new printing will feature Tony Moore's interior art on the cover and will be in stores on Dec. 23. * Moonstone Books has announced that it will donate all of the profits of Ed Hannigan's Skull and Bones graphic novel sold on www.Moonstonebooks.com during December directly to Hannigan, who is battling multiple sclerosis. Although the retail price is $15.95, Moonstone is offering Skull and Bones at a special price of $10.95.